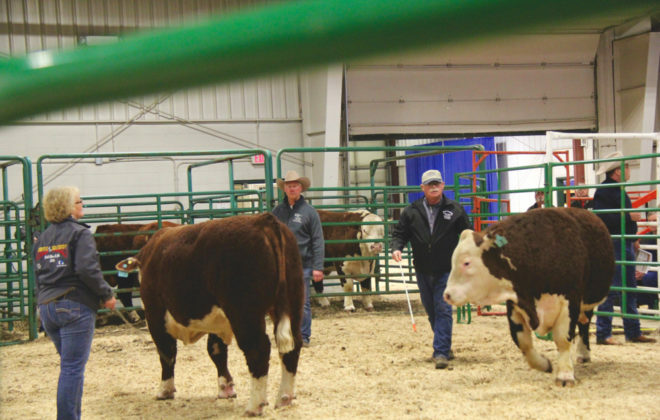 The Canadian Simmental Association recognized top Simmental seedstock breeders at Canadian Western Agribition. Award of Excellence Bull: Ironhill Rollin Thunder, yearling bull owned by Ironhill Simmentals of Metcalfe, Ont. 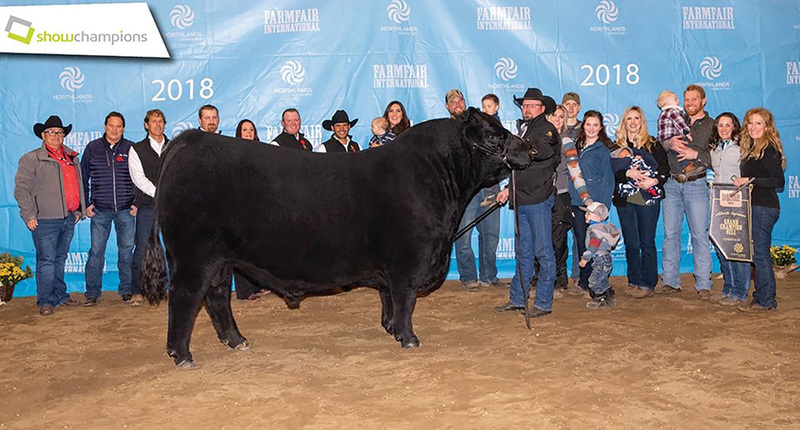 GCC DIXIE ERICA 935E ET (Black Angus) was crowned the First Lady Classic Champion at Agribition, exhibited by Boss Lake Genetics of Parkland County, Alta. 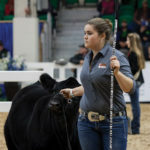 The First Lady Classic Futurity Champion was MERIT FLORA 6078D (Black Angus), calf at side MERIT 8130F, exhibited by Merit Cattle Co.
Agribition RBC Beef Supreme Champion Female was PM ECHO 8’16, calf at side BLAIR’S ECHO 270F, exhibited by Blairs. 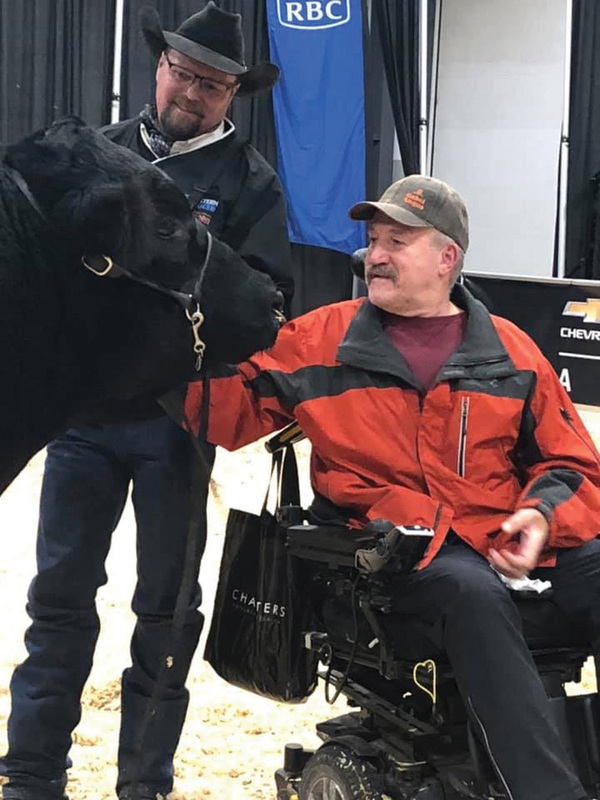 Ag Cattle Co.
Agribition RBC Beef Supreme Champion Bull was DMM INTERNATIONAL 54D, exhibited by Miller Wilson Angus. 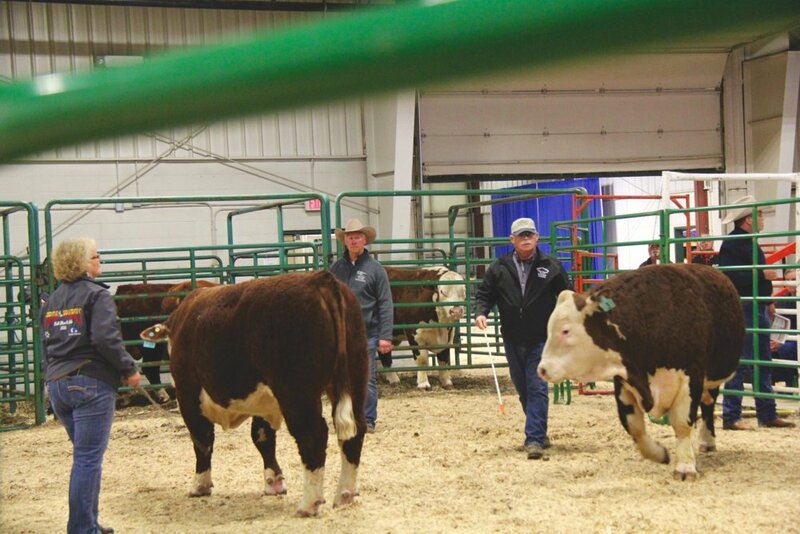 Agribition President’s Classic was SVS BETTS 808F, exhibited by Sunny Valley Simmentals. 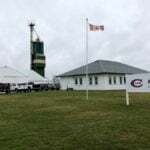 Complete results available online at agribition.com. 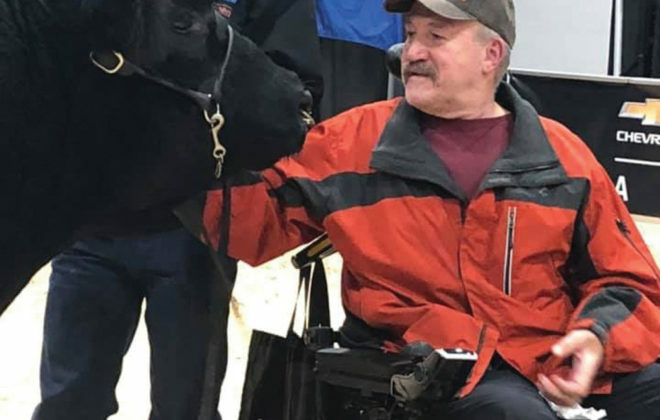 The Canadian Angus Association presented awards to winners of its 2018 Gold Show Program during Agribition, the day after the final Angus show of the year. The 2018 Black Angus Show Bull of the Year receiving champion aggregate status is DMM INTERNATIONAL 54D owned by Lee and Dawn Wilson, Miller Wilson Angus of Bashaw, Alta., and Glen Gabel of Regina, Sask. Black Angus Show Bull of the Year. The 2018 Black Angus Show Female of the Year receiving champion aggregate status is LORETTA 5511 OF TRIPP and her bull calf MICH WHEATLAND BULL 897 owned by Michelson Land and Cattle of Ituna, Sask. Black Angus Show Female of the Year with bull calf at her side. The 2018 Red Angus Show Bull of the Year receiving champion aggregate status is RED DKF RACER 8E owned by Eric Fettes, DKF Angus of Gladmar, Sask., and Shiloh Cattle Co. of Craigmyle, Alta. Red Angus Show Bull of the Year. The 2018 Red Angus Show Female of the Year receiving champion aggregate status is RED TER-RON DIAMOND MIST 138D and her heifer calf RED TER-RON DIAMOND MIST 12F owned by Rob Adams and Halley Adams, Ter-Ron Farms of Forestburg, Alta. Red Angus Show Female of the Year with heifer calf at her side. The Canadian Angus Gold Show All-Star Team awards were also announced. Black Angus Bulls, Bull Calf Champion went to MJT IMPRESSIVE 813F owned by Matthew Trefiak of Edgerton, Alta. Junior Champion went to MERIT STING 7047E owned by Trent and Janelle Liebreich of Radville, Sask., and Kelly Feige of Parkside, Sask. Senior Champion went to DMM INTERNATIONAL 54D owned by Lee and Dawn Wilson, Miller Wilson Angus of Bashaw, Alta., and Glen Gabel, Regina, Sask. 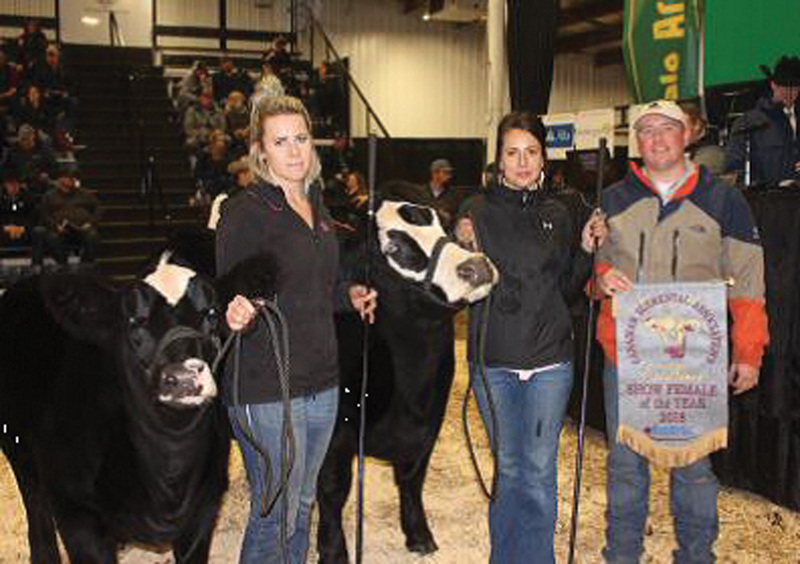 Black Angus Female All-Star awards went to BOSS LAKE MS TIBBIE 804F owned by Boss Lake Genetics of Parkland County, Alta., as the Heifer Calf Champion; MERIT SOCIALITE 7163E owned by Garrett Mac Liebreich as the Junior Champion; and LORETTA 5511 OF TRIPP and her bull calf MICH WHEATLAND BULL 897 owned by Michelson Land and Cattle of Ituna, Sask., as the Senior Champion. In the Red Angus Bulls, Bull Calf Champion went to RED TER-RON ROSCO 10F owned by Halley Adams of Forestburg, Alta. Junior Champion went to RED DKF RACER 8E owned by Eric Fettes, DKF Angus of Gladmar, Sask., and Shiloh Cattle Co. of Craigmyle, Alta. Senior Champion went to RED MAR MAC DEBUT 70D owned by Shiloh Cattle Co. of Craigmyle, Alta. Red Angus Female All-Star awards went to RED REDRICH FREY-EX 240F owned by Redrich Farms of Forestburg, Alta., as the Heifer Calf Champion; RED REDRICH LEXI 135E owned by Lexi Dietrich of Forestburg, Alta., as the Junior Champion; RED TER-RON DIAMOND MIST 138D and her heifer calf RED TER-RON DIAMOND MIST 12F owned by Rob Adams and Halley Adams, Ter-Ron Farms of Forestburg, Alta., as the Senior Champion. 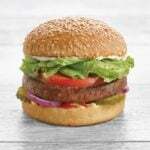 The Royal Agricultural Winter Fair was held in Toronto in November. Supreme Champion Bull: MVY Caous 64D (Charolais) owned by Rollin’ Acres Charolais, Shelburne, Dudgeon-Snobelen Land and Cattle, Ripley and McAvoy Charolais, Arelee, Sask. Supreme Champion Female: CRG Princess Valentine 42D (Charolais), exhibited by Oattes Cattle Co, Cobden. Supreme Champion Female with bull calf. 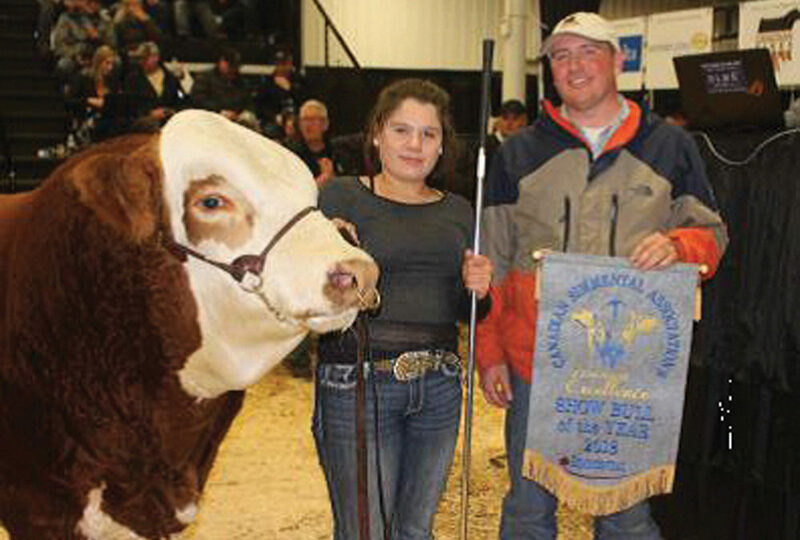 Christin Dixon of Arcola, Sask., grew up on a purebred Polled Hereford farm. She is now attending the University of Regina. She hopes to become a dentist and run a small herd of Polled Hereford cattle. Kathryn Serhienko of Maymont, Sask., is from a purebred Charolais operation. 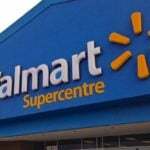 She has her agribusiness diploma from Lakeland College and is studying agribusiness at the University of Saskatchewan. After school she hopes to work in agriculture lending. Travis Hunter of Didsbury, Alta., grew up on a Red Angus operation. He is attending Old’s College for agricultural management marketing. 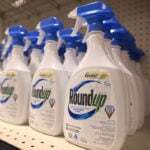 After school he plans to return to the farm and find work in the agriculture industry. 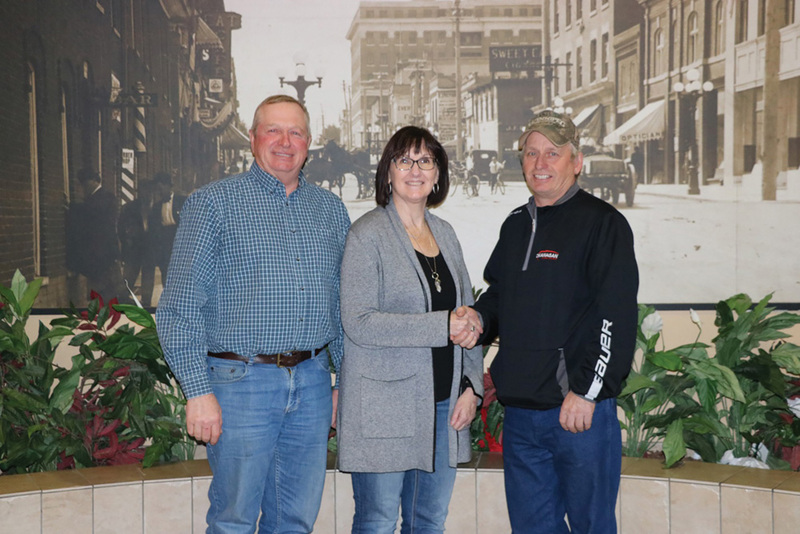 Agribition also awarded its $1,500 Barry Andrew Family Scholarship to Jill Sparrow of Vanscoy, Sask. 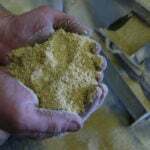 Sparrow and her family run a mixed cattle and grain operation. 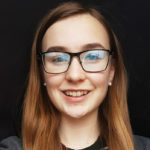 She attends the University of Saskatchewan where she is working towards her bachelor of science in agriculture, majoring in agronomy, and plans to obtain her master’s degree. Emma Nicholas of Milestone, Sask., received the William M. Farley Memorial Scholarship award of $1,500, which focuses on volunteerism. 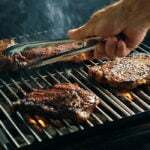 Nicholas and her family raise purebred Hereford cattle. She is working towards a nursing degree in Lethbridge. After school she plans to be involved in rural health care and continue to help on her family farm. The Canadian Shorthorn Association awarded Royce Moellenbeck from Englefeld, Sask., and Kayla Sharp from Lacombe, Alta., its Ian McRae Memorial Scholarship. 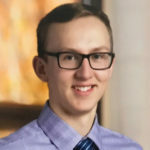 Moellenbeck plans to attend the University of Saskatchewan next fall, where he will work towards an animal science degree. Sharp is attending the University of Alberta, working towards a bachelor of science in engineering. Both have been active in their families’ farming operations and plan to work in agriculture when they complete their schooling. The Canadian Charolais Association announced its 2018 scholarship award winners. Rebecca Shuttleworth received the 2018 $1,500 Dale Norheim Memorial Scholarship. 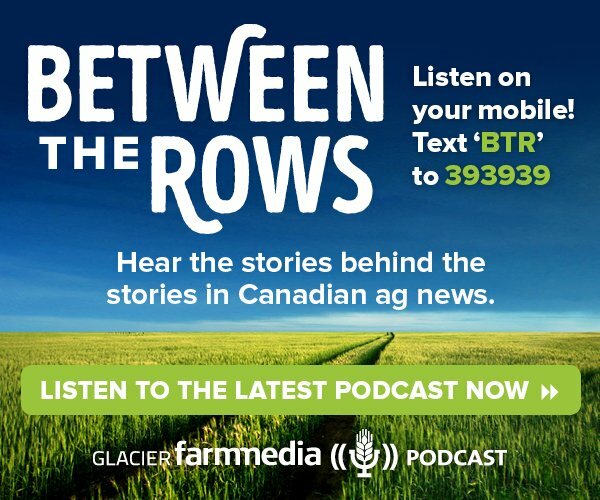 She is the fifth generation on her family farm Charworth Charolais in Airdrie, Alta. Shuttleworth is in her second year of an agronomy diploma at the University of Saskatchewan. Ward Marshall of Innisfail, Alta., and Eric Doran of Tweed, Ont. each received a $1,000 scholarship. Marshall is in his fourth year of agriculture studies at the University of Lethbridge. Doran is in his second year of an agriculture diploma at the University of Guelph, Ridgetown Campus. Nicole Scott of Oxford Mills, Ont., received the 2018 scholarship from the Canadian Junior Limousin Association. Scott and her family run a 20-head herd of purebred cattle and grow crops in Ontario. She is in her second year of animal science at Lakeland College in Vermilion, Alta.